Yesterday marked the release of Microsoft Dynamics GP 2018 R2 to the English speaking market - other languages soon to follow. After a few hiccups in the download process (make sure you clear your browser cache before attempting to download), I was able to get my hands on the 1.81 GB zip file containing the actual installation media (1.92 GB unzipped). Since this is not a major release, I went straight for the Updates folder on the image and executed the MicrosoftDynamicsGP18-KB4458410-ENU.msp file - The msp file was also published separately on the Service Pack, Hotfix, and Compliance Update Patch Releases for Microsoft Dynamics GP 2018 page on PartnerSource and CustomerSource and it probably offers a better download experience and less of a footprint, if all you need is to update an existing Microsoft Dynamics GP 2018 instance. Applying the msp is a fairly straight forward process. However, if you need instructions for a full install, take a look at my article Microsoft Dynamics GP 2018 installation - First Look which shows the full installation process. Apparently, there were some updates to the Dexterity Shared Components, so you will see the bootstrap setup in action, working to update those. The system database update went extremely fast on both my server and client environments and I couldn't be happier with this initial experience. Next up was the Fabrikam database. NOTE: For this update, I have 2 environments: a Windows Server 2016 running SQL Server 2014 on a Dell PowerEdge 1950 with 32GB of RAM and Dual Xeon 2.24 GHz and a Windows 10 running SQL Server 2014 running on a Dell XPS L701X with 16GB of RAM and SSD drives, both with Fabrikam and all Mekorma products and test data, totaling close to 550 MB each. And while for many, Fabrikam is not a good indicator of how upgrades will turn out, I've learnt over the years that is a very good predictor. 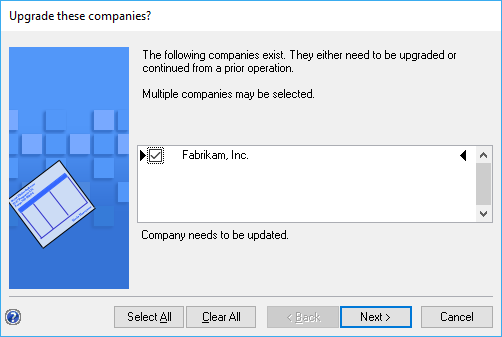 The Fabrikam update completed in or around 15 minutes on both my server and my laptop machine. I didn't find this to be out of the norm considering I was dealing with a 550MB database, in both cases. 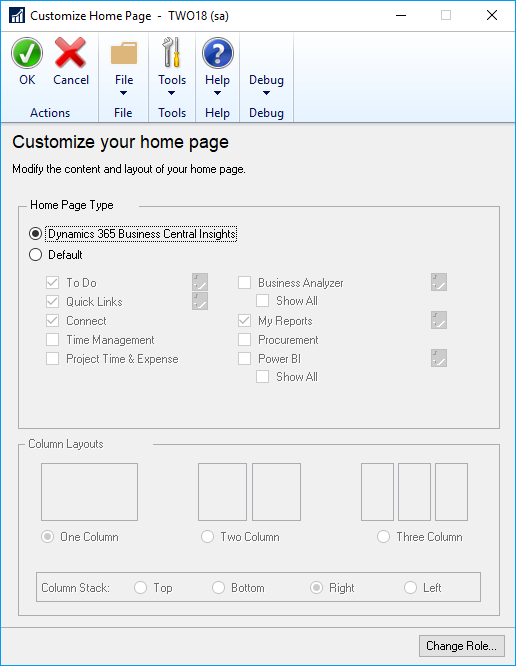 Upon launching Dynamics GP, things will seem very normal, until you take a closer look at the homepage, where you will notice a link, the homepage header for Intelligent Cloud Insight. 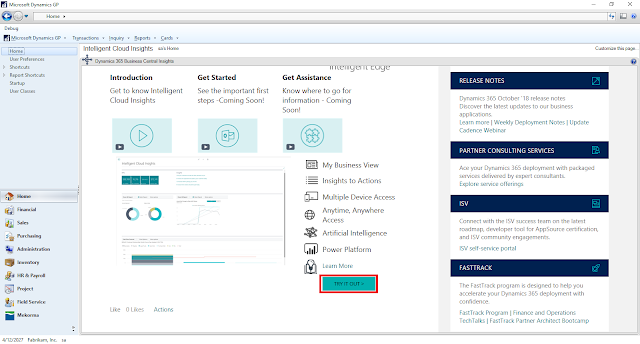 Clicking on this link will bring up the new Business Central Intelligent Cloud for On-Premises Customers page, which can be accessed directly via your browser here. Where you can begin setting up Intelligent Cloud by clicking on the TRY IT OUT button. My fellow Microsoft Business Applications MVP, Jen Kuntz has a full comprehensive write up on how to configure Intelligent Cloud here, so I will not double-down on this. 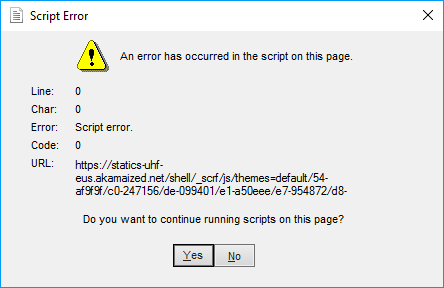 NOTE: I don't know if this will become a recurring problem, but I ran into some page scripting issues, but clicking Yes to continue running the scripts on the page simply seems to work all the time, although annoying. My friend, Jen Kuntz, seems to have ran into this as well. After launching Dynamics GP and login into the system, messages did not get re-added to the Alert Messages table (SY01700). This was actually a time saver and improved the overall experience -- oh, the small things in life 😊. Thanks for the first look. What if we don't want a customer to have the insights link? Is there a way to remove this from the homepage? Thanks! No way that I am aware of and I don't know that it would be something Microsoft would want to offer considering they want to get customers to use the Intelligent Insights capabilities of Business Central as an extension to Dynamics GP. Are you aware of a performance issue under AP/AR Document Inquiry? Exactly like the problem fixed by KB4056721. I have been unable to identify the source of the problem and according our Microsoft Partner provider the KB is already part of GP 2018 R2. 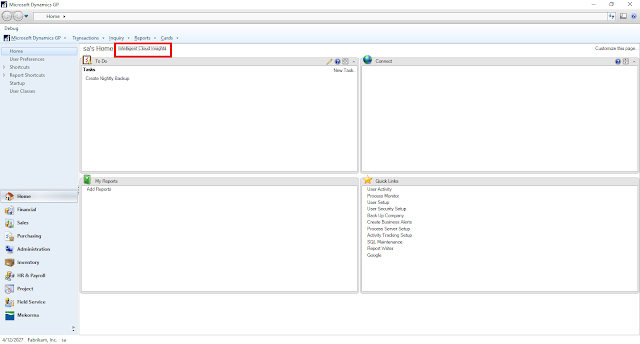 Is anyone aware of changes to eConnect with GP2018R2?